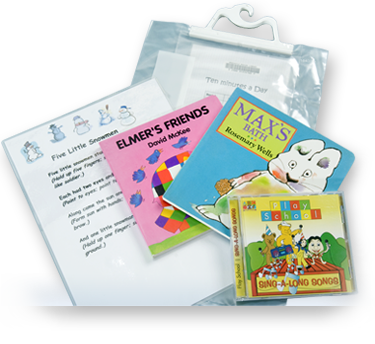 Ten minutes a day – Baby Book Packs can be borrowed for four weeks from participating libraries and include 2 board books, a nursery rhyme CD and laminated nursery rhyme sheet. 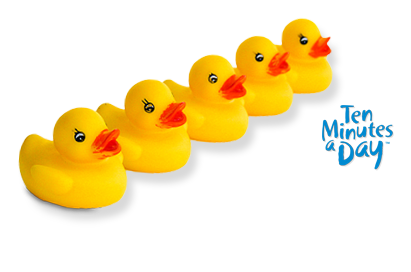 Each pack has been carefully selected to suit the developmental need of children 2 years and under. Book packs are great resource to use for reading at home. The nursery rhyme CD can be used to sing along with you child. This is very popular to use in the car. The laminated nursery rhymes provide two rhymes for you to enjoy with your baby.